PepsiCo India today announced the launch of an all-new product- Mirinda Joosy, thereby expanding the portfolio of Mirinda, the global iconic fruit flavoured beverage brand from PepsiCo. The introduction of Mirinda Joosy marks another milestone in PepsiCo India’s journey of enhancing its sourcing of fruit pulp from India. The all new Mirinda Joosycontains orange fruit juice sourced from Indian farmers. It combines the fun and bubbly taste of Mirinda with the unique tangy taste of Indian Oranges, with lower-sugar and lower-calories. Sweetened with Stevia and at 70 Calories per serving (250 ml), Mirinda Joosy has 50% reduced sugar than normal Mirinda. The launch of Mirinda Joosy continues PepsiCo India’s commitment to prioritizing lower-calorie, lower-sugar beverage options and is in line with the company’s global Performance withPurpose 2025 goals, where the aim is that at least two-thirds of PepsiCo’s global beverage portfolio volume will contain 100 Calories or fewer from added sugars per 12-oz serving (355 ml). 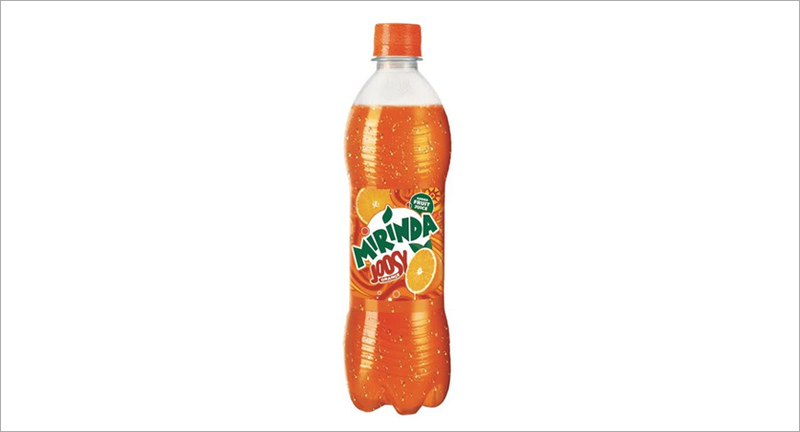 Mirinda Joosy will be available for consumers in Tamil Nadu.Mirindais one of the eight scale brands in PepsiCo India’s portfolio, each of which bring in over INR 1000 crore in annual retail sales. The launch of Mirinda Joosyis a reiteration of PepsiCo India’s commitment to partnering the Government’s effort of catalyzing the carbonated fruit drinks category to benefit Indian farmers by adding 5% natural juice to carbonated beverages.